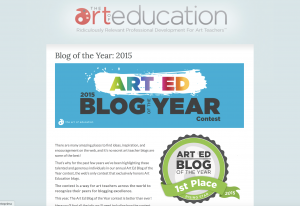 2015 Art Ed Blog of the Year Contest: Vote Now! You are here: Home / Teaching / Events & Exhibition / 2015 Art Ed Blog of the Year Contest: Vote Now! Vote for your favorite Art Blog! 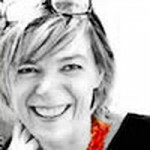 Even this year arteascuola.com was selected among The best Art Blogs of 2015, from the website The Art Of Education. 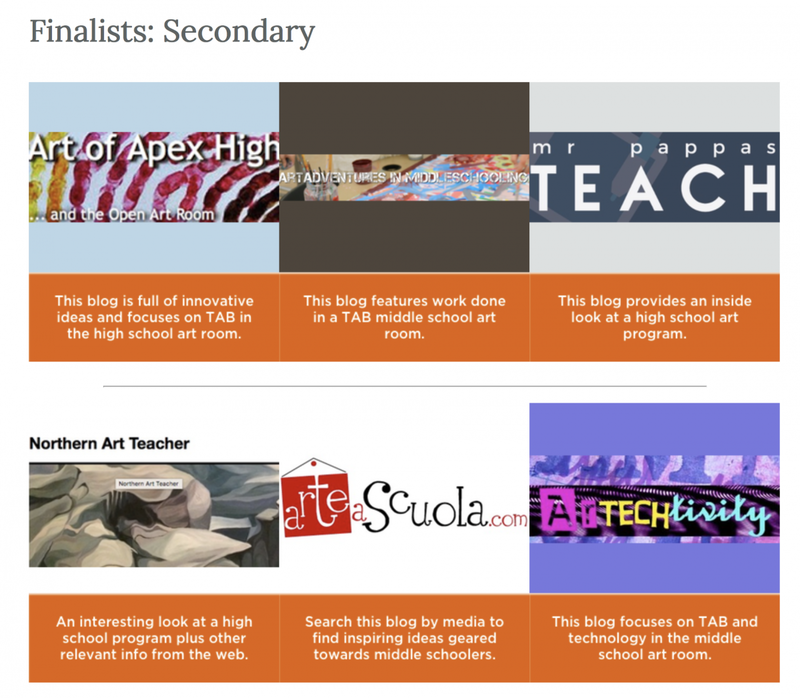 I’m excited and honored to have made the finalist in the category n. 2.Best Secondary Art Ed Blog. We have until January 22, 2016 to vote. 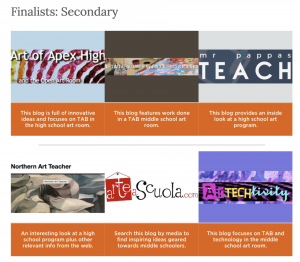 If you like, vote for my site at this link : scroll down the list of finalists, click the pink button “Vote Now” , go to the category “Cast Your Vote for Best Secondary Art Ed Blog” and tick Arte a Scuola, remembering to confirm by clicking the button “submit” at the end. You can also vote for the others categories as Best Elementary Art Ed Blog, Best Rising Star Art Ed Blog and Best Wild Card Blog. There are so many great resources here… you have to take a look!